Callie Bates is a writer, harpist and certified harp therapist, sometime artist, and nature nerd. When she’s not creating, she’s hitting the trails or streets and exploring new places. She lives in the Upper Midwest. The Waking Land is her debut fantasy novel. CLICK HERE FOR MORE STORIES BY CALLIE BATES. 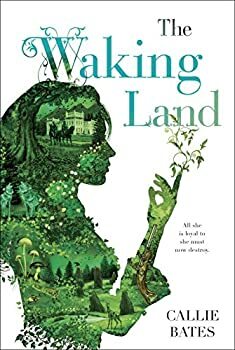 I’m sure there’s an audience for Callie Bates’ debut novel The Waking Land, but after reaching the halfway point (53% to be precise), I also became sure that I was not it, leading to a DNF review.